Windows web hosting is a type of web hosting that considers Windows as the server’s operating system and runs on Microsoft software like MS SQL and Access. It not only has content built-in Microsoft FrontPage but is also perfectly compatible with Windows-specific technologies like ASP, .NET frameworks, C#, Visual Basics, SharePoint, etc. Windows web hosting simplifies, speeds-up, and automates the management, up-dation, and usability of the websites on the server. WeblinkIndia, a leading Windows hosting company, allows websites across the world to share its Windows server and get a distinct address in the World Wide Web. 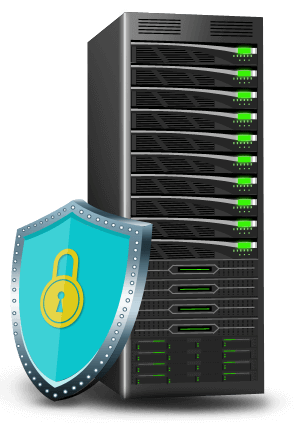 With our Windows hosting services, you get complete support of our hosting experts, high-capacity servers, total security, and the speed you need to run your website. To accomplish utmost from your .Net or visual basic website, Windows server hosting is something you can’t choose to discount upon. Unix hosting doesn’t support .NET or Visual basic, this is where windows hosting becomes essential for these languages. Do you use Microsoft Front Page? If yes, then hosting Windows platform can present you the extended ease in your interactivity. Unlike Unix Platform, you won’t have to worry whether your server supports the extensions, because it easily would. If you are well aware of the windows operating system, you won’t have to worry about learning a new language to handle your website effectively, which is a definite plus for the beginners! Where Unix servers do not support .ASP, windows steal the show in this regard. If you have a .ASP or dynamically database-driven website, Windows hosting platform is the clear choice to gain the optimum from this popular scripting language. A windows server lets you seamlessly collect data from an access database. Even with so many database options people prefer to use, it is windows that guarantee easy and seamless database integration. If you are planning to develop windows based applications on your website, there isn’t a better and economical choice than cheap Windows hosting. UNIX does not support windows development, and if it is the development language of your programs, windows hosting will serve the purpose very well. We Secure Your Site From Getting Hacked! Why Choose WeblinkIndia As Your Windows Hosting Company?